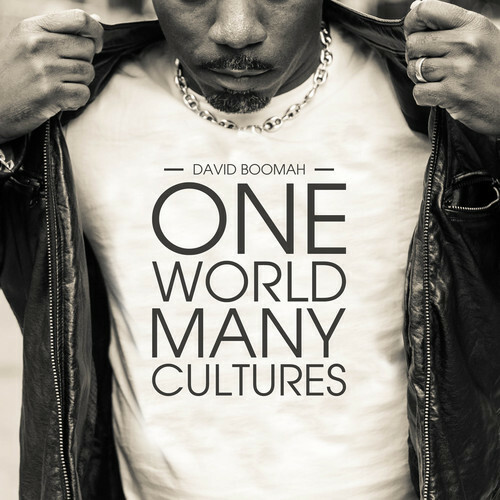 Born in Birmingham, United Kingdom but raised in St Catherine, Jamaica, David Boomah is widely regarded as one of the most original, respected lyricists in the game. Since bursting on to the UK jungle scene alongside Shy FX with the 1995 classic ‘Who Run Tings’, Boomah has continued forward ever since, remaining at the forefront of a scene he helped create. Working in the studio and touring with the likes of Rebel MC, Shy FX, Potential Badboy, Benny Page, and collaborating with artists like Tenor Fly, Topcat, Navigator, and UK Apachi, Boomah has maintained his creative passion, and kept his links strong in both Reggae and Drum and Bass. Follow David Boomah: Faceboook, Twitter, Soundcloud. Here are some songs from his debut album, so you know what to expect when album comes out. The lead up single to his solo debut album, ‘Forward Ever ft Serocee’ is a killer combo of the the Reggaesound and DnB vibe. Combined with a massive remix package including a DnB edit from Unreal (Brazil), aDubstep reworking from Cotti (UK), as well as a house tinged number from Killer Kuttz (UK), ‘Forward Ever’ truly is a melting pot of sounds and cultures! Forward Ever OUT NOW and available for purchase digital and 12″ vinyl via V Recordings.